These days I have been helping over at Korea Tourism's Website Koreataste.org to help them get articles for the website. 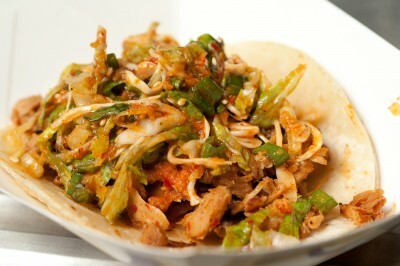 One story I knew that I wanted to get was from the good people over at Kogi: the Mexi-Korean Taco Truck. Kogi food is LA food. It’s not fusion; it’s not a gimmick; and it is certainly not a PR-driven endeavor that sprung from the minds of enterprising big thinkers. It’s food that comes from the gut and the heartbeat of what makes LA, well, LA. Alice, thank you for contributing to the site.